World Heritage Site), Lisbon (UNESCO World Heritage Site), Guimarães (UNESCO Cultural Heritage of Humanity), Braga and Sintra. While you tour these breathtaking cities you will also get a chance to stop, enjoy and taste traditional local foods and wines. Be prepared to fall in love with the uniqueness of each place. You will be transferred to your centrally located hotel in the city of Porto after arriving at the airport. In the afternoon you will meet for a half day tour of the city of Porto. The Invicta city, is Portugal’s second biggest city. 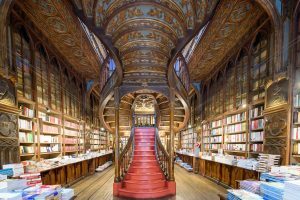 On your half day tour you will visit the following sites: Lello Bookshop, one of the oldest bookshops in Portugal and is said to inspire the Harry Potter series. The Sao Bento train station, known for its azulejo patterns that tell stories of the history of Portugal. Torre de Clergios and Igreja, a Baroque style church with its bell tower that skies above the city. Your final visit is to a Porto Wine cellar where you will be able to try the fortifed wine. 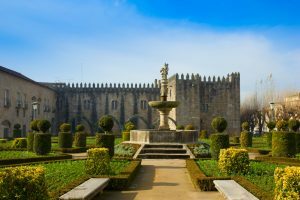 You begin your tour through Minho, known for having some of the most beautiful natural landscapes in Portugal and the area is also rich in history. Guimarães, birth of Portugal and of the frst Portuguese King. Elected as European Capital of Culture 2012. The City Centre of Guimarães, is considered by UNESCO Cultural Heritage of Humanity. Braga, founded under the name of «Bracara Augusta» during the Roman Empire, which makes it one of the oldest Christian cities in the World. Known as “Archbishops city” and monumental religious heritage. Elected as European Capital of Youth in 2012. Today is a free day to enjoy the city of Porto. 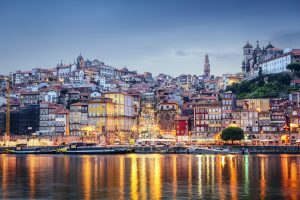 You have plenty of optional tours to take, such as a cruise down the Douro river, or visit to one of Porto’s famous vineyards. In the morning you will be transferred for a quick train ride to Lisbon. Afterwards you will be transferred to your hotel. 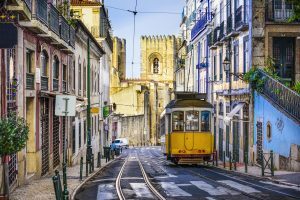 In the afternoon, you will get to take a city tour of Lisbon. 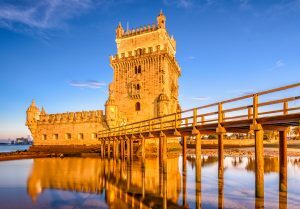 The tour begins in the Belem area where you will visit the Belem tower, the ceremonial gateway to Lisbon. 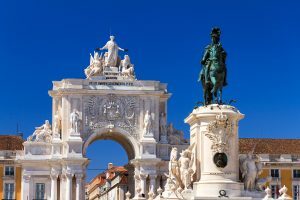 Your next visit is to the Jeronimos Monastery, where the famous Portuguese explorer Vasco da Gama is laid to rest, and a fnal visit to the Coaches Museum, where you will be able to see the horse drawn carriages from the Royal House of Portugal. You will be able to sample the "Pasteis de Belem", the famous Portuguese pastries. The tour then continues onto the Alfama, Lisbon’s oldest quarter, where fado music is heard at night. You return to your hotel in the early evening. Today you will have a full day tour, exploring Cascais and Estoril coast, the idyllic town of Sintra, and Cabo da Roca, Europe’s most western point. 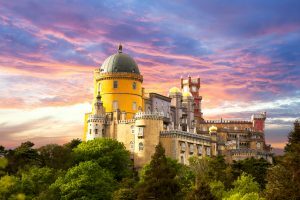 In Sintra you will be able to visit the famous Palacio da Pena, a Romanticist castle, above the village. The castle has excellent views, of Lisbon and the sea. After visiting the castle you will stop for lunch, before heading to Cabo Da Roca, a cape which forms the westernmost extent of mainland Portugal, before heading to the towns of Cascais and Estoril, part of the Portuguese Riviera. You return to your hotel in the evening. Today is a free day to do explore the city of Lisbon. You have the opportunity to do any last minute shopping. Or take one of our optional tours. After check out, you will be transferred to the airport from your hotel. Até ja Portugal! The above rates are per person, based on double occupancy (land package). Please call for single supplement price. Rates are subject to hotel availability and are only guaranteed when paid in full.